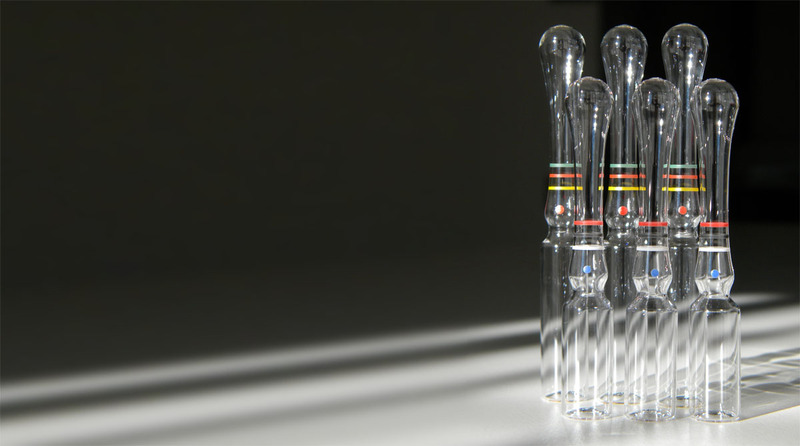 An established name, synonymous with high quality, efficiency and excellent service which is the result of more than 60 years of tradition in the area of glass ampoules manufacture for pharmaceutical and cosmetic industries. Normally, conductivity measurement is a simple and quick method to determine the ionic strength of a solution, namely: the salinity and/or totally dissolved solids in water. The hydrolytic resistance sets to measure the pH of the liquid through titration (indirect method) so it measures both basic elements (especially SODIUM) and other glass elements that may have an acid effect, though sometimes negligible. Although working to provide alkaline transfer limits of 0.25 ml HCl 0.01 N it does not necessarily mean that the conducitivity values can yield results in accordance with those of EU Pharmacopoeia's. EU Pharmacopoeia data are known to be less that 5 µS/cm micro siemens/cm for glass containers (ampoules) exceeding 10 ml in volume. Arguably enough, while on the one hand the hydrolytic resistance sets to explain the difference between basic and acid values, conductivity on the other just adds its values. Thus, it goes without saying that a low conductivity value is bound to manifest excellent hydrolytic resistance figures while we can hardly claim the other way round. The conductivity sums up or better comprises both basic and acid values, unlike the hydrolytic resistance which, by titration highlights their difference.